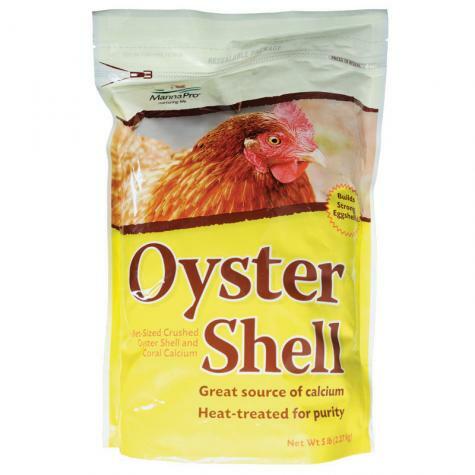 Pullet-size oyster shell and coral calcium. 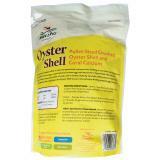 Helps reduce the number of weak or soft-shelled eggs. 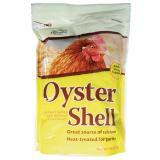 5 lb bag of oyster shell. Heat treated for purity. WARNING: This product can expose you to chemicals including Cobalt Sulfate, Lead, Cadmium, Nickel, Arsenic, Chromium, and Vanadium, which are known to the State of California to cause cancer and birth defects or other reproductive harm. For more information go to www.P65Warnings.ca.gov.